The trucks transport about 30 million liters of fuel annually, and Veladero’s diesel generators produce an average of 12.5 megawatts of electricity. But Veladero could soon derive the bulk of its power from a different source: geothermal energy. Barrick recently agreed to invest up to $12 million to explore the power-generating capacity of a geothermal reservoir located about 10 kilometers from Veladero in Argentina’s San Juan province. Barrick will invest $2 million in the project’s initial exploration phase, which involves drilling gradient holes to measure the temperature of the rock and water in the reservoir. Another $10 million will be invested in the second phase, which involves drilling a series of deep (1,000-1,500 meter) holes to determine the size of the reservoir, the feasibility of pumping the water to the surface and then re-injecting it back into the reservoir. 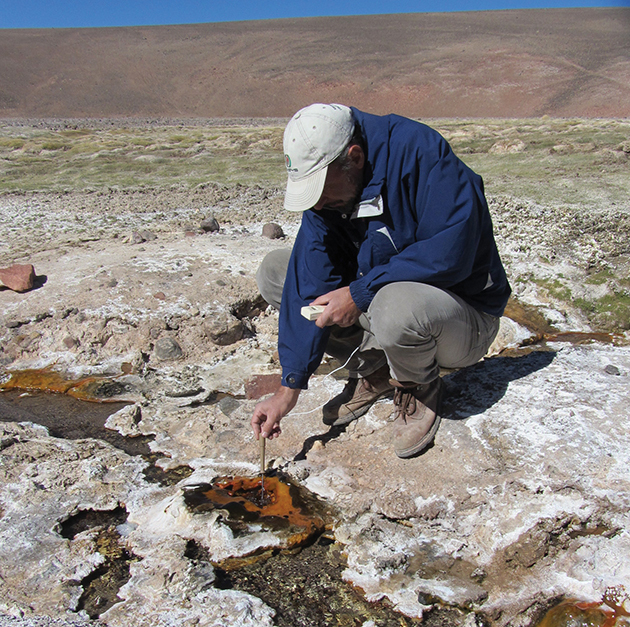 Barrick’s partners in the project are EPSE (Energia Provincial Sociedad de Estado), the utility company in San Juan, and Geotermia Andina, which develops geothermal power plants. 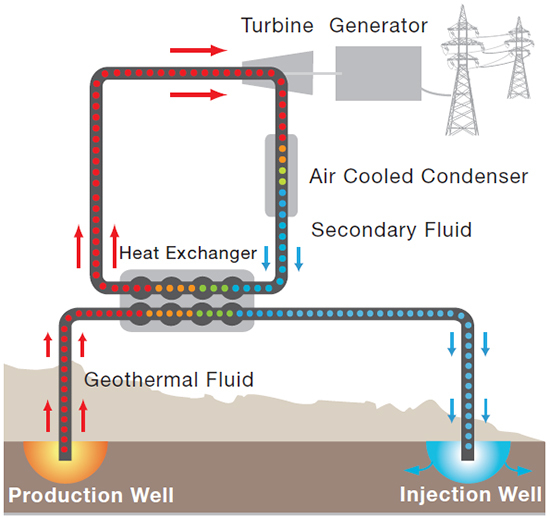 Geothermal power is produced by pumping high-temperature water stored deep in the earth’s interior to the surface. The hot water is used to produce pressurized vapor, which expands through a turbine that turns a generator, which produces electricity. Because water is re-injected into the reservoir continuously, geothermal power does not deplete ground water. In addition, it does not produce carbon dioxide. While the exact generating capacity of the reservoir won’t be known until drill results are analyzed, studies by Geotermia estimate it could range from eight to 14 megawatts. The low end of that range would account for about two-thirds of Veladero’s current electricity needs and reduce the mine’s diesel fuel consumption by 19.2 million liters annually. It would also cut the operation’s greenhouse gas (GHG) emissions by 53,600 tons annually. The high end of the projected range would account for the bulk of Veladero’s projected power requirements, and cut Veladero’s GHG emissions by 93,800 tons annually. “It’s a clean energy source, and it will allow us to save money on diesel fuel costs,” says Nick Teasdale, Business Development Manager for Barrick South America. Teasdale adds that, if drill results warrant construction of a geothermal plant, Barrick will recover the construction costs over time from revenue generated by the plant. He also noted that excess electricity generated by the plant could be used by Barrick’s nearby Pascua-Lama project. Indeed, if a geothermal plant is built, it will outlast the Veladero mine and the electricity that it generates would be transmitted to the Argentine side of the Pascua-Lama project, which straddles the Argentine-Chilean border. A final decision on whether to build a plant won’t be made until next year at the earliest, Fraser says, and if a plant is approved, it won’t be operational until sometime in 2014. Such a plant would be the first of its kind in Argentina, and possibly in South America. “This project is a leader in this area,” he says.